Attention Worriers: At Last, A Webinar for YOU! Many leaders over-think, worry, and delay decisions. This cautious and slow approach can inhibit performance and frustrate others. Frequently, too much worrying can result in creating unnecessary “CYA” or busy work for staff. Worriers are known for hesitating when they should be converting ideas into action. They may become overwhelmed when dealing with change. Worriers may hold back during key meetings due to concerns that they may say something wrong or not have all of the information. Does your fear of making a mistake or the idea of failure cause you to over-analyze key projects or tasks? 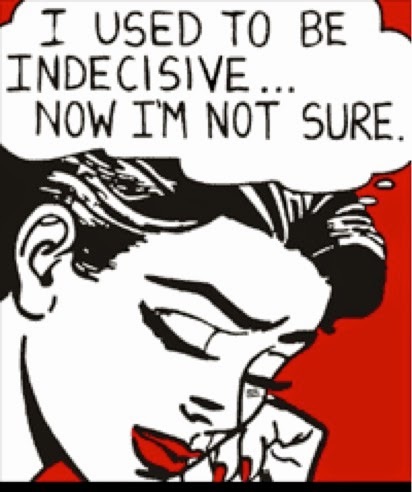 Have you ever been told you were a slow decision maker? Do you, at times, study and restudy issues, paralyzing progress? Worriers often feel more comfortable in larger, more methodical environments rather than in dynamic quick moving settings. While Worriers vet ideas very, very well, their worries are often are overblown and seldom come to fruition. So, if you are pretty clear that you are likely a “Worrier” by nature, what is the toll of your worrying on your career? Have you been bypassed for promotions? Do you feel overworked, frustrated and overwhelmed at times? Does your worrying impact your overall satisfaction, ability to relax, and joy? If you have tendencies to worry, over-analyze, or fret too much, this webinar is for you! See our Job Post on LinkedIn! You will be responsible for administrative support for the President for scheduling meetings, arranging travel, email correspondence, and general administrative and organizing duties. You will also provide support with some key marketing initiatives such as: social media updates, coordinating webinars, presentation support, newsletters, e-blasts, public relations, client/prospect communications, editing, SalesForce, and more. This is a new position based in Richmond, Texas, will begin as part time (9 am to 3 pm) although could evolve into full-time with some virtual work possible. Be trustworthy, dependable, and service focused. Minimum of five years of administrative experience is required. Associate or Bachelor’s degree in business administration, marketing or human resources, or equivalent, required. We seek a candidate that is truly a go-getter. We offer: competitive compensation, flexible scheduling and an exceptional professional developmental opportunity for a candidate who wants to join a growing global business with unmatched assessment tools and consulting services. CDR Assessment Group, Inc. is a globally recognized assessment and talent development firm leading the way with revolutionary products, consulting services, research, and training solutions. We deliver unmatched assessment tools and services for leadership and talent development. We provide consulting, executive coaching, and training services that wrap-around all areas of human performance and maximize the clients’ utilization of our breakthrough tools. We have a consulting and coaching team that provides services worldwide. We are committed to providing cutting-edge leadership and human resource development products and services designed with the foremost psychological insights and applied business know-how. Our clients can be found in all sectors: banking/finance, service, health care, energy, chemical, transportation, manufacturing, insurance, technology, pharmaceutical, logistics, government and academia. We also train and certify executive coaches to use our assessment tools with their clients. Since 1998, we have been based in Tulsa and in late 2014, a Houston area office was opened.